A dozen editorial posts are at risk of redundancy at the Scottish HQ of Express Newspapers. While the figure is being described by the company as a maximum number, the equivalent of six long-term regular casual shifts have also been earmarked for redundancy, as part of a savings exercise reported at around £5million across Express Newspapers, UK-wide. In London, the proposed cut is 27 staff positions and the equivalent in shifts of 18 long-term regular casual ones. And in Broughton, Lancashire, two staff positions and the equivalent in shifts of six long-term regular casuals ones are also at risk. Applications for voluntary redundancy are being sought. The proposed cut in Scotland represents around 30 per cent of the workforce. In a memo to staff, group managing editor, Ian Parrott, writes: “As you may be aware, editorial management have met with NUJ representatives today and have outlined savings proposals in the light of current conditions in our newspaper market and in the industry. 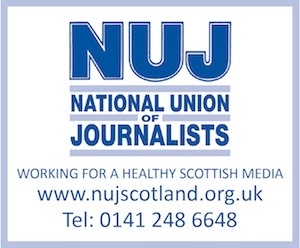 Holleran expects to be meeting the Express Newspapers' NUJ chapel in Scotland on Monday, including to ascertain how many, if any, applications there might be for voluntary redundancy. The Guardian this evening reports that all four Express titles – the Daily Express, the Daily Star, and their Sunday sisters – have been “safeguarded”, suggesting some vigorous behind-the-scenes negotiations to at least keep the papers and their offices going. The fear this morning was that the Sunday edition of the Daily Star might not survive the planned savings, despite enjoying a substantial hike in sales since the demise, in July, of the News of the World. But the News of the World's publisher, News International, a month ago returned to the Sunday tabloid newspaper market with the launch of The Sun on Sunday.